Despite lasting for less than a decade, the Byrds were a rock n’ roll phenomenon that not only experienced a remarkable heyday but left an indelible mark on the genre and popular music itself. Many notable artists and bands over the years since 1973 have referenced the Byrds as an influence. These include iconic acts like the Eagles, Tom Petty & the Heartbreakers and R.E.M. Peter Lavezzoli, a well-regard musician and author, wrote that the Byrds were one of the few bands to have a profound influence on the Beatles and that they were the impetus for Bob Dylan’s use of electric instruments. Terms like “country rock” and “folk rock” are contributed to what the Byrds set in motion. Finally, a very important component to the legacy of the Byrds is that they were quintessentially American. To fully appreciate the Byrds is to understand that they were in constant transition throughout their existence. The band was formed by McGuinn, Crosby and Gene Clark, who were all rooted in folk music. This set the fundamental mood for what the Byrds would be between 1964-65. In 1966, the Byrds released the album Fifth Dimension, and many music historians consider this to be the first full-blown psychedelic rock album. Between 1967-68, there were a number of lineup changes, and when Gram Parsons joined, he ushered in a period where the band was more country rock than folk rock. The five original members briefly reunited in 1972-73, and there were ersatz reunions in 1989-91 and 2000. There are two songs in particular that define the Byrds even today: Mr. Tambourine Man and Turn! Turn! Turn! Mr. Tambourine Man was written and also performed by Bob Dylan. The rendition by the Byrds, however, is considered to have created the subgenre of folk rock. The single was a smash hit, and within three months, it had topped both the U.S. Billboard Hot 100 and UK Singles charts. Turn! Turn! Turn! (to Everything There Is a Season) was composed by Pete Seeger and uses lyrics adapted almost entirely from the Bible. This was the title track for the Byrds’ second album and became the band’s second number one single. It’s interesting to note that their two most popular songs are covers. What’s also interesting to note is that all of the tracks included on The Byrds’ Greatest Hits can be found on the band’s first four albums: Mr. Tambourine Man, Turn! Turn! Turn!, Fifth Dimension and Younger Than Yesterday. The band released 12 albums in all, and those that followed struggled to achieve similar success but did enjoy more success in the UK. The exception to this is the band’s 12th and final album, which was released in 1973, topped the charts and featured the reunion of the original band members. However, one could argue that the success of this album was predicated solely on excitement over the reunion. The album itself reviewed poorly and none of the singles released ever became hits. Although the Byrds achieved great commercial success for only a brief period, the band has had a lasting effect that’s undeniable. They fused American folk with the British Invasion and are directly responsible for at least three rock subgenres. In 1991, the Byrds were inducted into the Rock and Roll Hall of Fame, which is the last time all five of the original members performed together. In 1971, Rolling Stone called the Byrds “boring” and “dead,” and in 2004, the magazine published the 100 Greatest Artists of All Time and ranked the band number 45. Perhaps music historian Domenic Priore said it best: Few contemporaries can claim such a “subversive impact on popular culture,” and the measure of this band is more than the sum of album sales and chart positions. We thank our friends at https://redeembonuscode.co.uk for supporting theByrds.com. In my opinion , "Notorious Byrd Brothers" is their finest hour ; a delicious blend of influences and run-through the then-new Moog synthesiser . I'm in the minority here , as I happen to enjoy "Dr. Byrds & Mr. Hyde" . And wouldn't you know it, David Crosby like Forrest Gump was there. Counterculture everywhere Crosby went. Everything they did was wonderful. McGuinn was, in Jim Dickson's words "my only brush with genius". This is their finest album, with due respect to poor old Gene Clark. The album cover (back of) is hanging on my wall two feet away. "My Back Pages" is McGuinn's finest hour, irrespective of what Crosby thought - at the time. Pure bliss. "Everybody's Been Burned" is Crosby at his most beautiful & McGuiin's solo glistens like the light emanating from an angel. Hillman played beautiful bass & emerged fully fledged as a writer. Michael was..... dear handsome Michael (machine) Clarke. I still love them dearly. Bless all the Byrds. They are still part of my every day! More than fifty years after the fact, Eight Miles High remains my favorite Byrds' song followed by 5d (but not the throw-away 2-4-2 Fox Trot, which was the call sign for the John Lear jet owned by his son). And tie the knot with a circle back to 5d). Go figure. 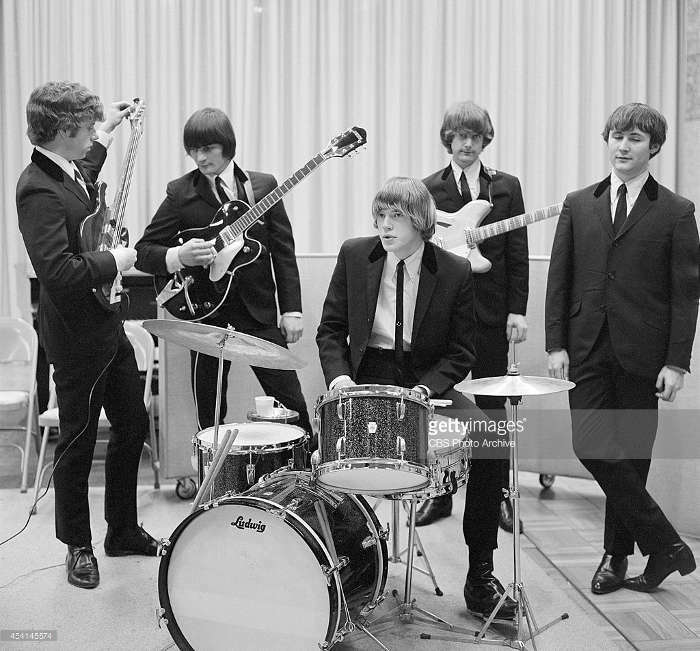 What happened to the latter-day Byrds, Clarence White in particular? Thank you for helping to preserve and even expand the "awesomeness" of the Byrds. I recall with awe and wonder the first time I heard Eight Miles High, which to this day (over 50 years later) still evokes a sense, a profound sense, of the timeless and transcendent ... of the spiritual and sublime. I was 14 years old, sitting in the back seat of my dad's car when the song debuted on AM radio. Contributing to the power of the experience was the location, Pacific Grove, CA, on a long twisting road that descended into Monterey. The air was redolent with cypress, eucalyptus, and the sea. The experience has lasted a lifetime. Only months later while in Caracas, Venezuela, would I become familiar with the beauty of the song's predecessors. The legacy of the Byrds corresponded to the release of their greatest hits' compilation, which was the first album I purchased. "And I opened my heart to the whole universe, and I found it was loving. And I saw that joy innocently is, just relaxed and paying attention." There is a God.